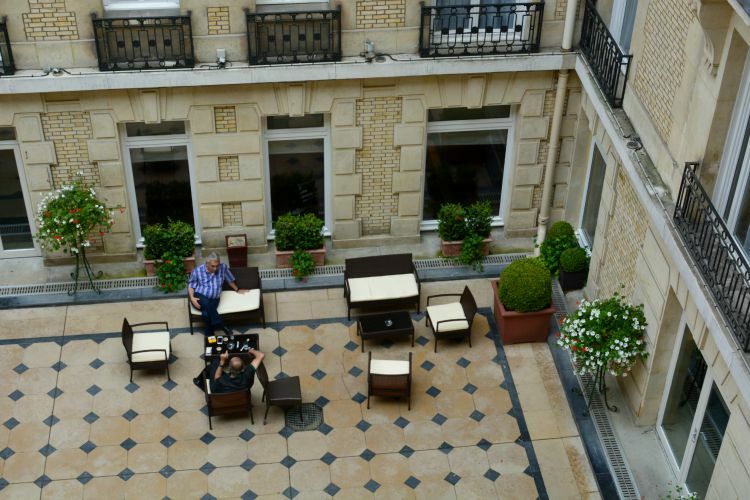 A Stay at Fraser Suites Le Claridge, Paris. This weekend I went to Paris for a rather quick visit. I have a few more posts for you as we did so much (including finding an amazing restaurant, and an excellent cocktail place), but first I want to tell you about where we stayed. If you've been reading for a while then you might remember how I stayed at Fraser Suites in Perth when I went back over at Easter. 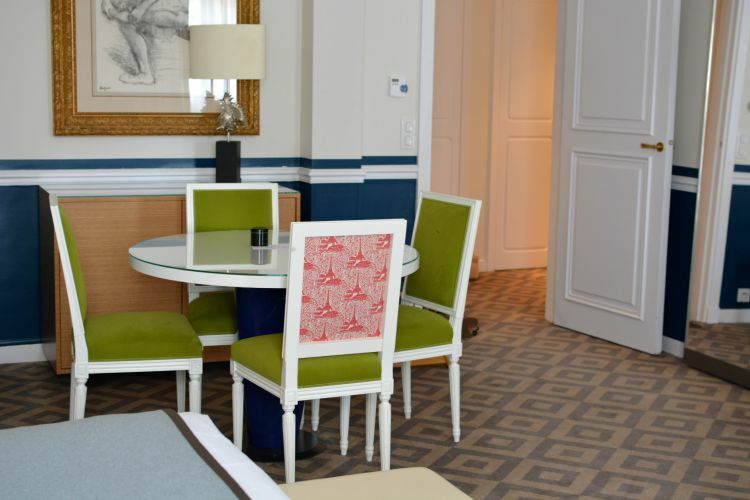 I was blown away by the size of the apartments and style of the hotel, so when Air France got in touch about sending me on a Parisian weekend break, I knew I wanted to stay at the five star Fraser Suites Le Claridge in Paris to see how they compare. 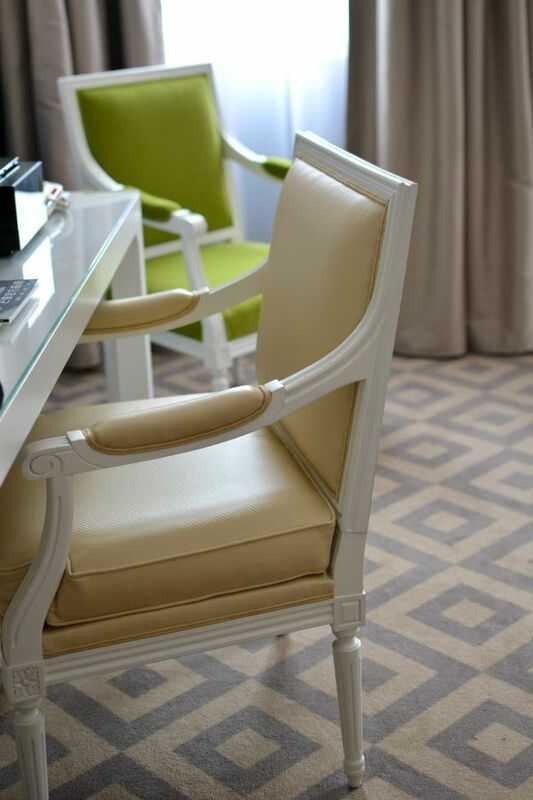 The best thing about Fraser Suites hotels is that they're luxury apartment hotels each with a unique design style. 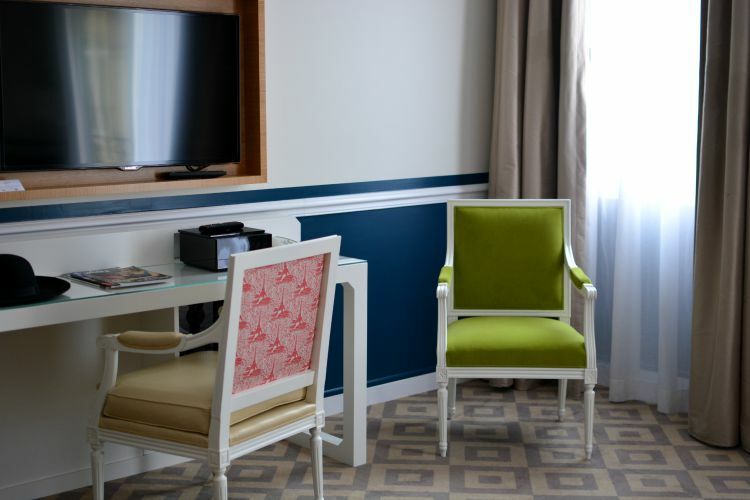 This means you get the perks of being in a hotel (think business centre, fitness suite, breakfast, the service, and sometimes a pool), but you stay in an apartment style room. Some of the apartments have one or two bedrooms, and some are studios. We had a studio, which came fully equipped with a small kitchen, a dining table and chairs, a desk, two twin beds, and a balcony. It also had the most epic full length mirror I've ever experienced in my life. Our flight from London Heathrow arrived early in the morning, but after a delay and a long wait for the luggage, we eventually arrived at the hotel around 11:30. 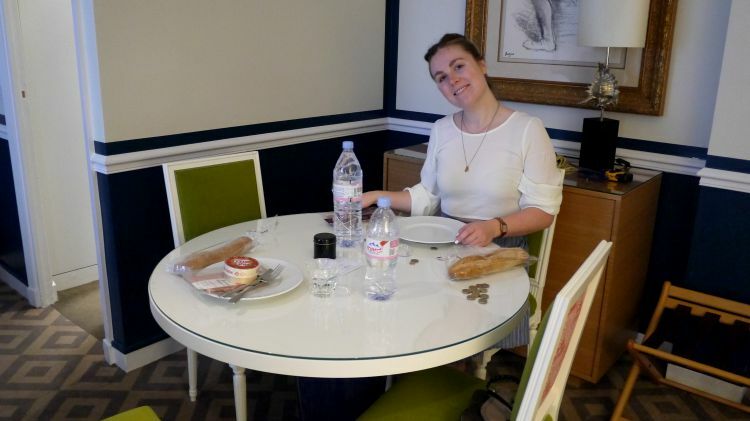 The hotel is right on the Champs Elysees next to Sephora, so we dropped off our bags and cases, freshened up, and then had to head out for our lunch reservation (via Sephora, obvs), and by the time we got back a few hours later our room was ready and waiting for us. Paris in August is it's busiest month for tourism, all of the hotels are booked out months in advance (it didn't help that a few of the luxury hotels were closed for renovations), and yet all of the Parisians escape the city and spend the summer months down on the coast. This means despite all the tourists, a lot of the top restaurants are closed, so do plan for this if you're visiting in the summer months. The hotel bathroom was pretty small (I mean this is Paris! 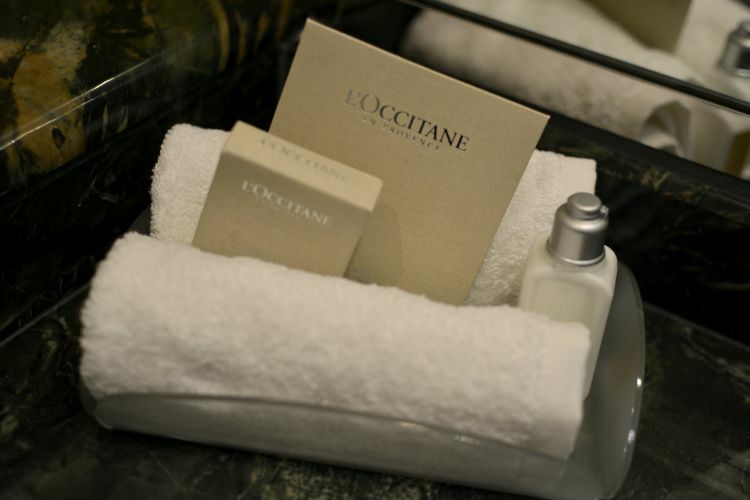 ), but it had a beautiful marble sink and L'Occitane amenities. 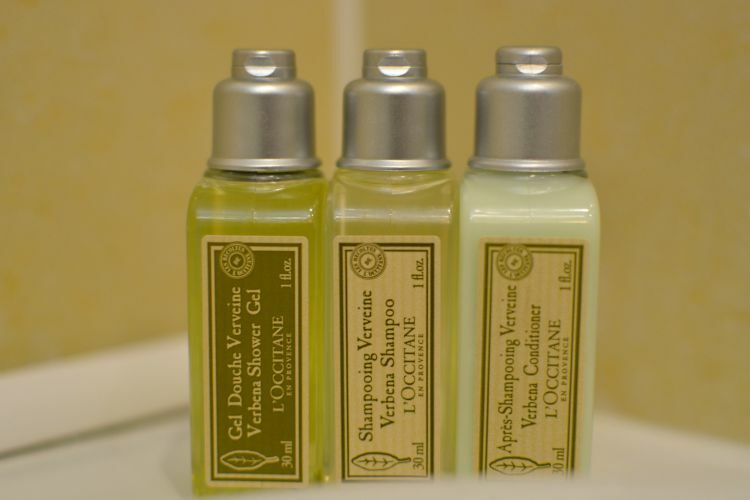 Unfortunately we didn't get many amenities this time, we didn't have any soap, so used the shower gel to wash our hands, but I'm guessing this was just a small mistake when they cleaned the room and prepared it for the next guests. 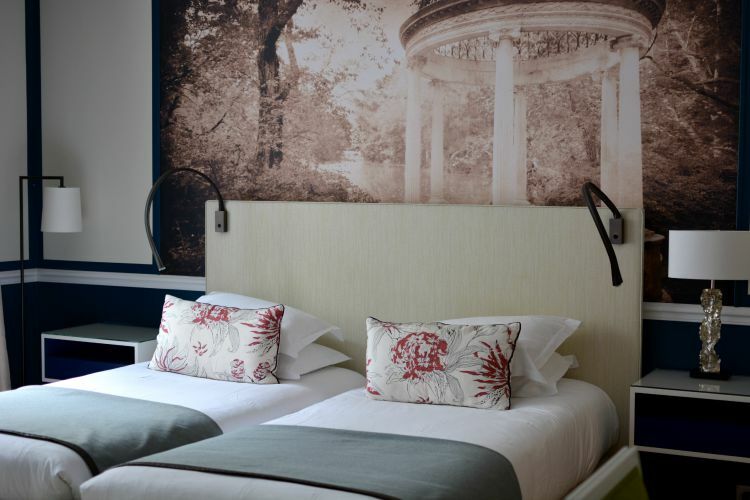 The hotel is contemporary with trendy but elegant design touches. Our room was so 'cool' and fresh, we loved everything about it. How awesome is the carpet! The great thing about having an apartment style hotel is that you can eat in. We ate out at lunchtime (at an incredible restaurant - review coming soon!) so didn't want a big dinner, so having the kitchen meant we could pop into the nearby Monoprix and get baguettes, cheeses and meats and just sit at our table and have our own dinner (with Pierre Herme macarons for dessert). We also loved having the balcony that looked out over the courtyard. 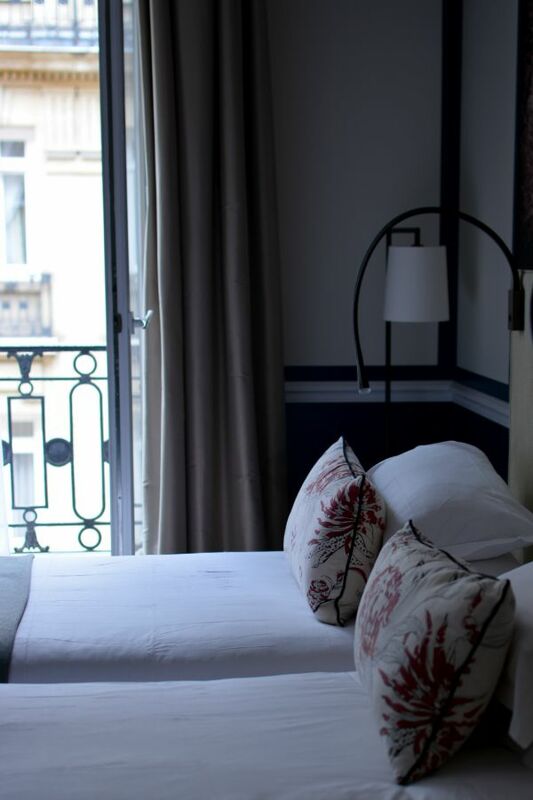 Some of the more expensive rooms have views of the Eiffel Tower and Champs Elysees, so I'd definitely recommend booking one of those rooms for a special occasion or if it's your first time in Paris. 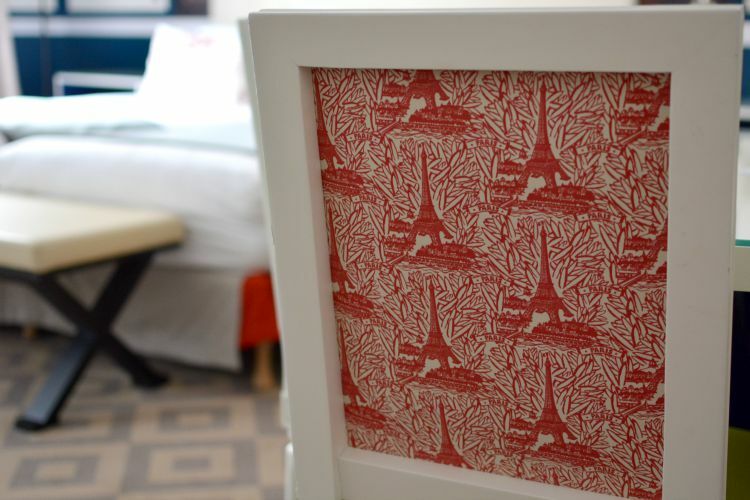 Also, talking of the Eiffel Tower, how cute are the backs of the chairs with the mini Eiffel Towers!? 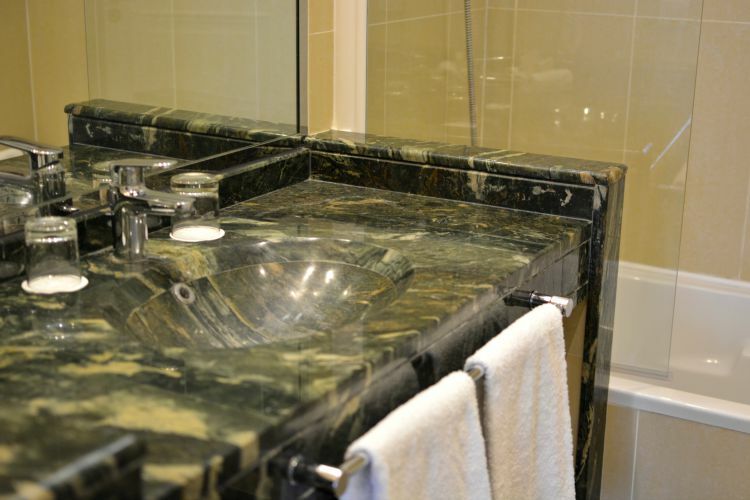 We had a really lovely stay at Fraser Suites, they were fantastic and couldn't do enough for us. The staff were super friendly, and just like the Fraser Suites in Perth you felt safe at all times because you couldn't use the lift without your room key. I honestly think all hotels should have this, it really does give peace of mind. The breakfast was also pretty good with an extensive hot and cold buffet, and we were able to leave our cases and bags in the hotel after we'd checked out as our flight wasn't until the evening. Also, Fraser Suites check out time isn't until 12noon, so unlike other hotels that have super early check out times (*cough* 10am), you can actually have a lie in and enjoy your holiday! Air France offers over 50 weekly flights from London Heathrow to Paris-Charles de Gaulle. Return fares in economy start from £76, including all taxes and fees. For more information and to book, visit their website. AHHH now I know exactly where you mean! How amazing is that Sephora?! 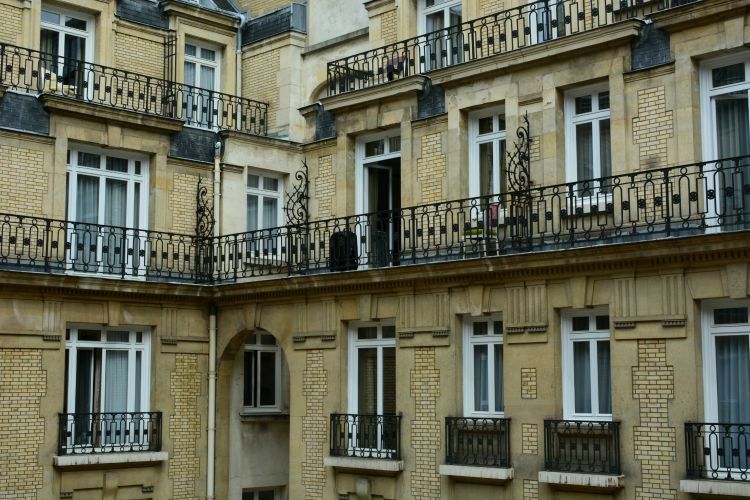 Looks like such a perfect spot for a night in Paris! I love the little details in your apartment like the Eiffel Tower material. Looking forward to reading more about your trip! wow wow wow. I LOVE Paris. Such a fabulous city to wander around. And this sounds like the perfect place to stay, much better than a huge hotel. I am definitely going to investigate this next time we head to Europe! I love your dress on the first few pics, so pretty and chic! Looks like you had an amazing time, I love Paris!